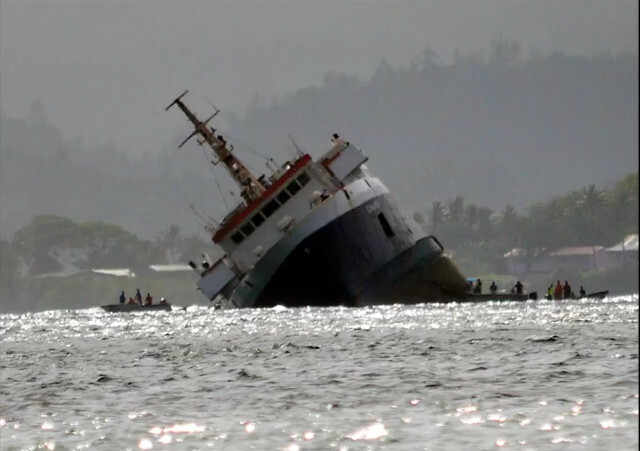 The Ro-Ro cargo ship Suilven capsized off port of Suva in the afternoon of Nov 24, 2015 local time. The ship began listing to starboard as it entered the harbour at the end of a journey from the Northern Division and sank within an hour stern first. The crew of 27 was rescued by other vessels, among them the Ro-Ro Cargo Ship Sinu-I-Wasa, which were in the area, and taken to port where rescue forces were already waiting. Also tugs from the nearby wharf attended as well as the Fijian Navy which dispatched a patrol boat. The Fijian police was monitoring the situation. There were no passengers on board as the ferry was only used for freight traffic recently. The Fiji Maritime Safety Authority started an investigation.